Microsoft's bid to turn the Xbox 360 into the ultimate home entertainment hub has taken with another step forward with the launch of the Verizon FiOS cable TV app. 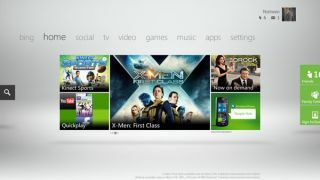 The new app brings a selection of 26 SD and HD channels to Xbox LIVE members, viewable over your internet connection. The channels on offer include HBO, Comedy Central, MTV and ESPNews. However, to access the service, you'll need a Verizon FiOS cable subscription, an FiOS internet connection and an Xbox LIVE Gold membership. So, in truth, the FiOS app is only really an extension for existing users rather than a liberation from the tyranny of the cable box and satellite dish. Rival providers HBO and Comcast have also inked deals with Microsoft for similar apps, which are also likely to require similar subscriptions to cable TV packages. The other notable video app launched today is YouTube and we're happy to let you know that this won't need you to sign up for an expensive subscription before using.